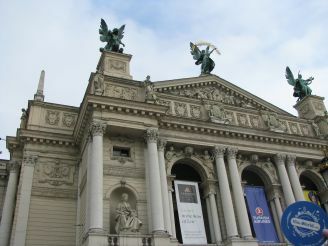 Lviv Puppet Theater was opened in mid-April 1946. After the war, it could be called the first glimpse of spring sun ray dawn, the birth of children`s happiness. Even then, work on the productions treated with the utmost seriousness to instill in rag dolls and wooden heart, revitalize and transform them into real heroes, each of them - their own destiny and character. 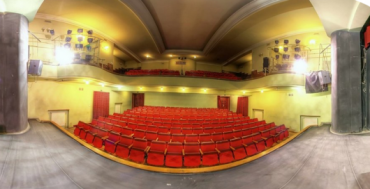 In today`s Lviv puppet theater at the heart of the work on the same principles: to revive the fairy tale and tell her audience in vivid colors. 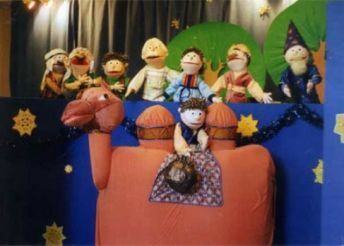 Regional Puppet Theatre specializes in diverse productions for both children and adults. The complexity of the latter is always higher than the children`s fairy tales. The work of the actors in this case is twice as responsibility, because they need to ensure that sophisticated, conscious, have formed a viewer looking at the dolls can go back to the atmosphere of a work of art, without feeling the falsehood and affectedness. Among these pieces spectators got special recognition: "Mademoiselle Nitouche", "The Night Before Christmas" by Gogol, "Lefty," "Catch instant success" and others. Children`s works are always a classic character, always present in the formulation of educational moment. The basis of most of the pieces are the famous folk tale, the creation of the classics of Ukrainian and world literature. Special success received production of "Ivasik-Telesyk", "Dereza Goat", "The Snow Queen". 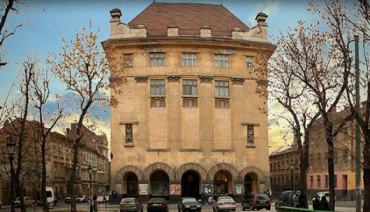 The contribution of the puppet theater in the culture of the city is invaluable. The hard work of the team on art pieces do not go unnoticed and is appreciated by the audience. Due to this popularity productions can have a positive impact on the education of the younger generation. 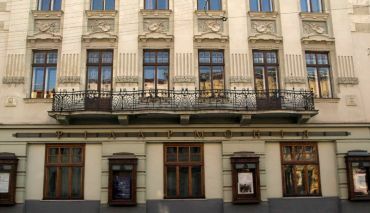 Regional Puppet Theatre continues to be a major attraction of Lviv, rich theaters for all tastes, creative workshops and art galleries.